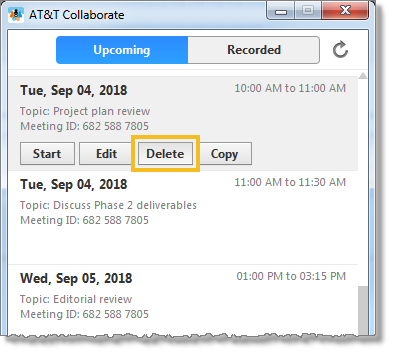 When you delete a meeting in AT&T Collaborate – Meetings, you’ll need to send notification to the meeting attendees that the meeting has been canceled. In the panel on the left, click the AT&T Collaborate – Meetings icon . 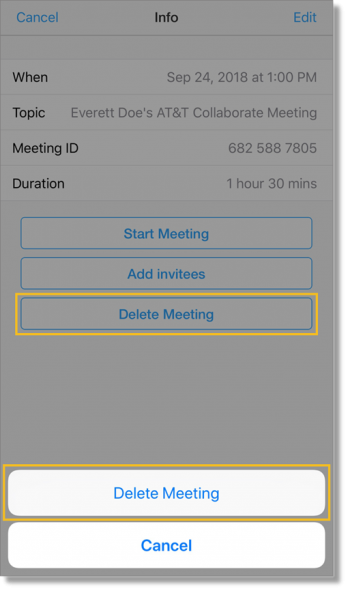 The AT&T Collaborate – Meetings app opens. 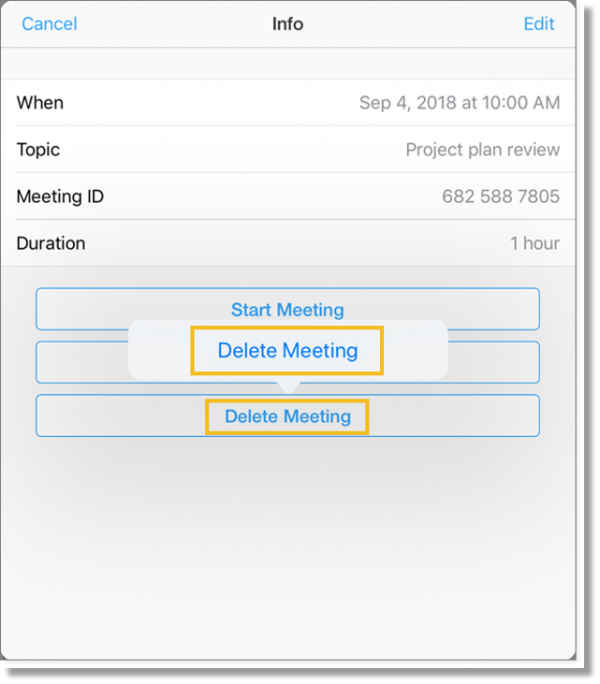 In the lower panel, click Meetings. At the top of the meetings page, click Upcoming. All upcoming meetings are listed with the nearest at the top. Hover over a meeting, and then click Delete. In the upper left corner, tap the Actions menu icon . Tap AT&T Collaborate – Meetings. The AT&T Collaborate – Meetings app opens. In the panel on the left, tap Meetings. The Upcoming Meetings page opens. Tap a meeting. The Info window for the meeting opens. Tap the Delete Meeting confirmation. In the AT&T Collaborate – Meetings app, tap Upcoming. Tap a meeting. The Info window for that meeting opens.